We’ve all been there, sitting at a conference, listening to a speaker that makes you want to put hot pins into your eyes. If you are organising an event, getting a bad speaker is a nightmare scenario and no matter how much effort you have put into everything else, this is the thing your delegates will remember and of course, if the food is bad!! So, is there a way to stack the odds in your favour? Quite simply, yes there is. 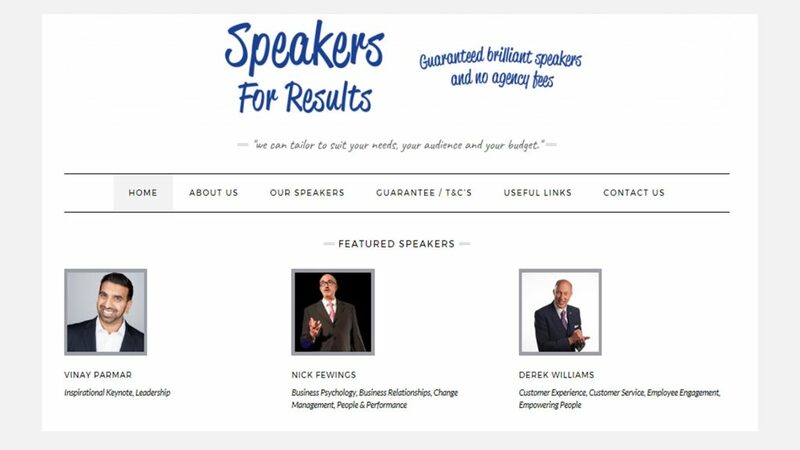 I was invited to present on this topic, at an Event Organisers Summit, because I have over 20+ years experience of conference speaking and have spoken at over 500 events, during which, I have experienced the good, the bad and the downright ugly of speakers. No doubt, there are certain speakers that will stick in your mind for the right reasons and others for all the wrong reasons. As background, I was asked to provide hints and tips to the 100+ delegates, based not only on my experience and research but additionally with my understanding of behavioural psychology. I make no apologies that the examples I use are personal however, that is what I was asked to do. I hope therefore that they will provide you with a framework to help you book a speaker for your event, that will WOW your delegates and help you achieve success. 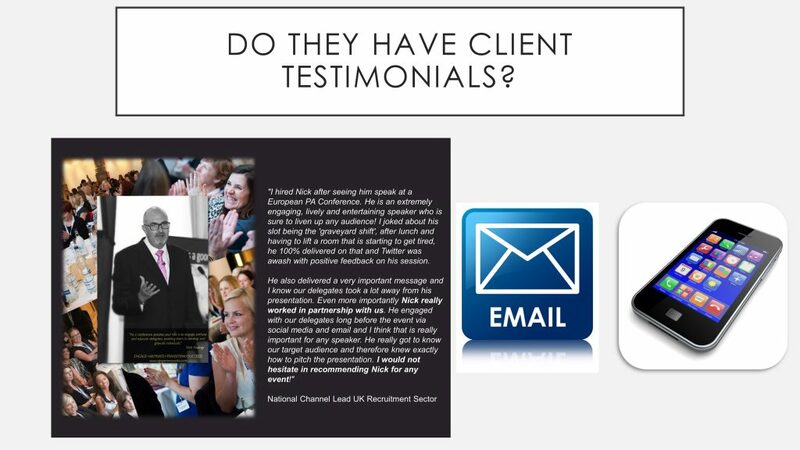 My focus is where, as an event organiser, you are tasked with finding an external professional speaker. Overall conference theme. Does it add value to the job I do and help me develop as an individual? Location. Where is it being held? What are the transport links or parking like? Agenda. What are the start and end times? The content? Breaks and time for networking? Speakers. What’s their experience and what are they talking about? Investment. How much will it cost me in time, travel, accommodation, subsistence and fee to attend? If you’ve attended an event before, then whilst the above will play a part in your decision, the previous experience will have a significant impact on your decision. So what about getting the right speaker? Well first, you need to understand and recognise that we all have different needs, due to our different behavioural preferences. 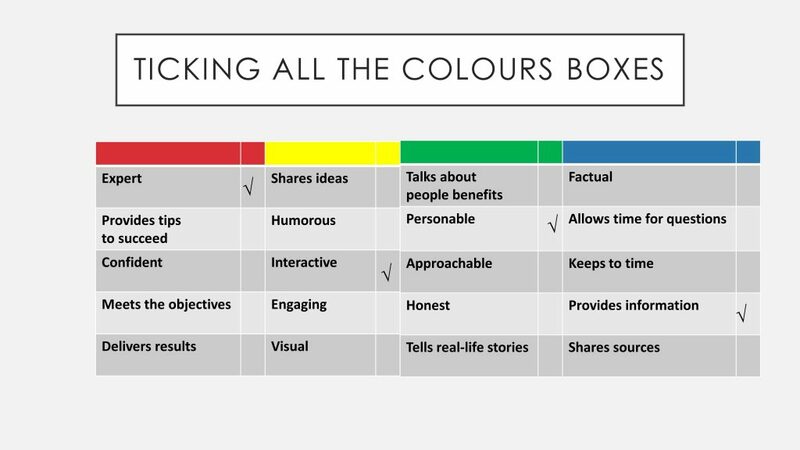 When I work with teams, I use a colour model of human behaviour, based on the work of Carl Jung, a Swiss Psychologist, know as the Father Of Modern Day Psychology. 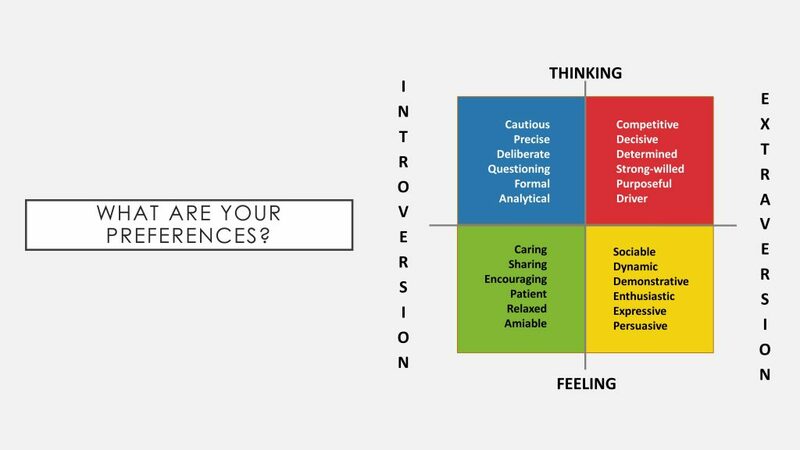 At a top level, there are four different types of people (it is a lot more complex than this but for the purpose of this article, let’s keep it simple). Each different style can be associated with different adjectives that describe that style. Each of us should be able to put these colour preferences into order of most like you, right through to the one that is least like you. Some people find this easy, others harder, depending on the strength of their preferences. 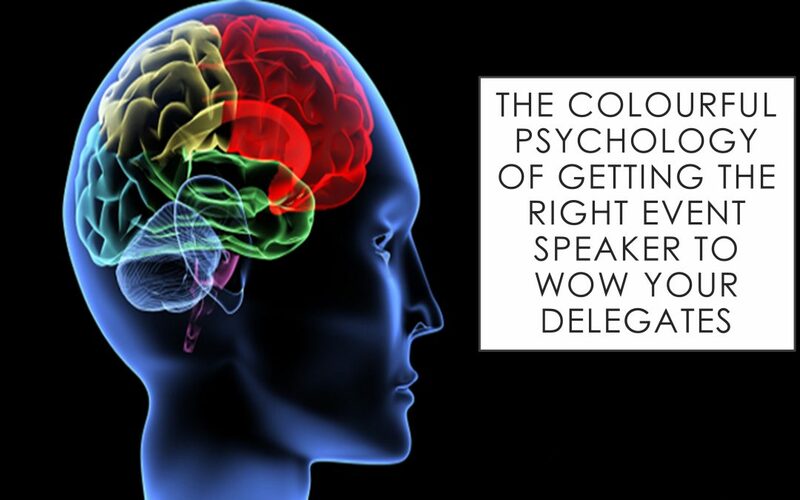 Now, when booking a speaker, the psychology is often, “If you are like me, I like you.” and you may book a speaker with a similar behavioural preference to you. But what about the needs of the other behavioural types? Based on my research, these are the sorts of things that the four different types want to see in a speaker. Most people who speak on a regular basis will share the fact that they speak at events on their website. 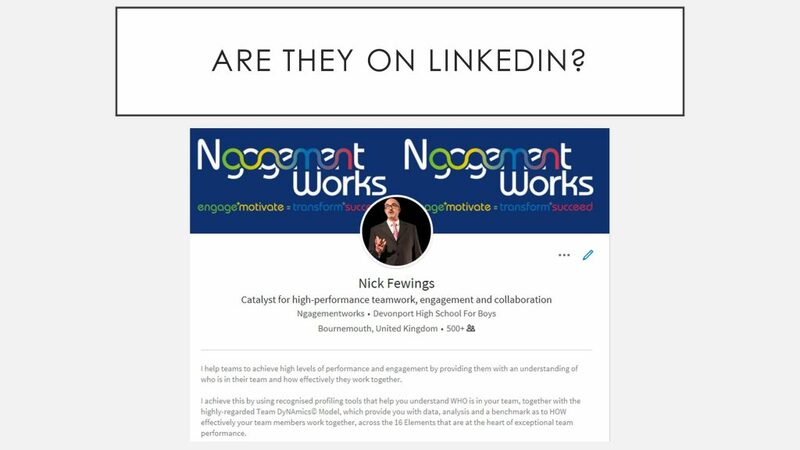 LinkedIn provides some excellent information about the person if they use it. 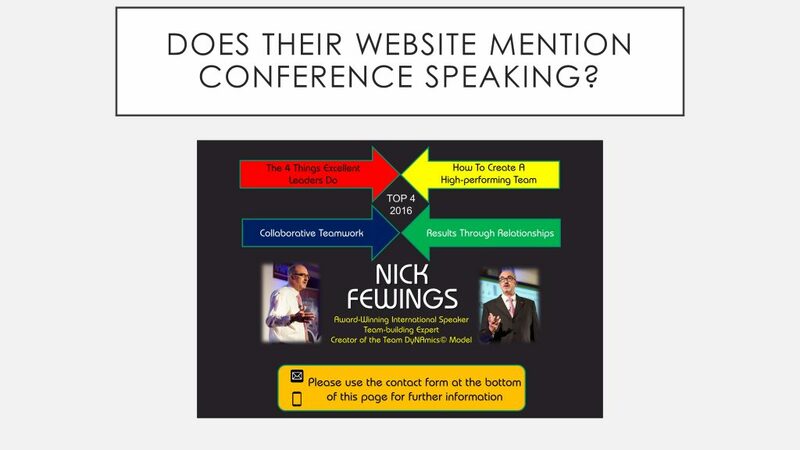 You should be checking whether they mention they undertake public speaking on their overview page. If they do, look at their Recommendations. 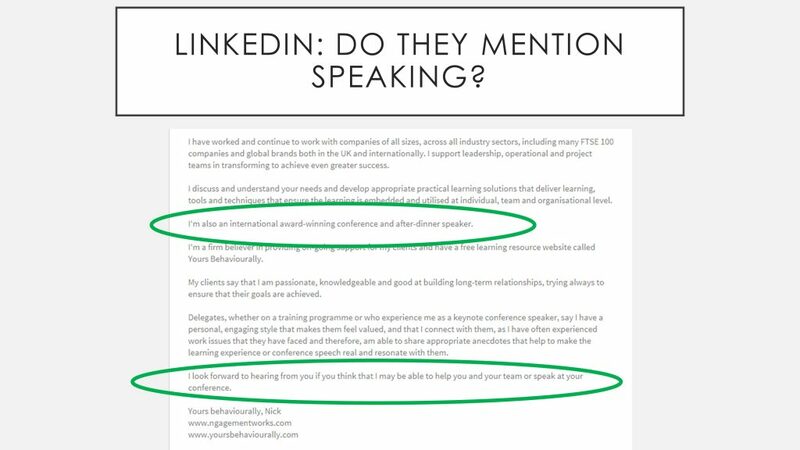 There should be recommendations about their speaking and sometimes you can also find out when they spoke last, what conference it was, what topic they spoke on and sometimes the size of the audience. A quick search on You Tube under their name should find some clips of them speaking. 4. Are they registered with a speaker agency? Again, a question to ask them. 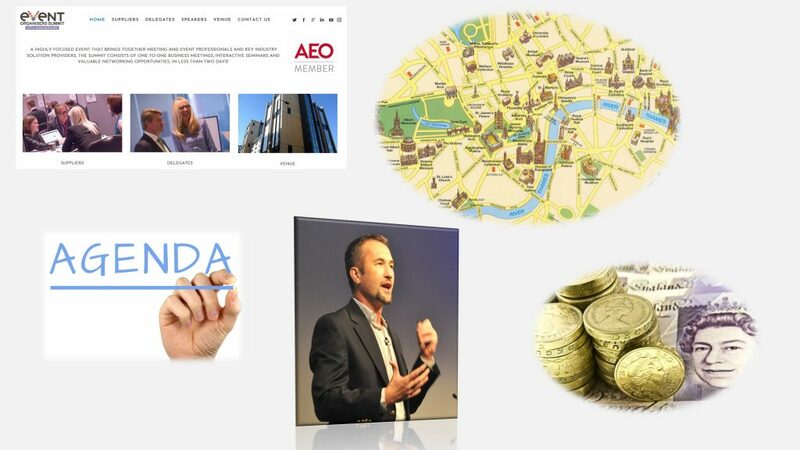 Most speakers, like myself, will be registered with at least one agency. The one I am registered with is called Speakers For Results. 5. Are they on other social media channels? 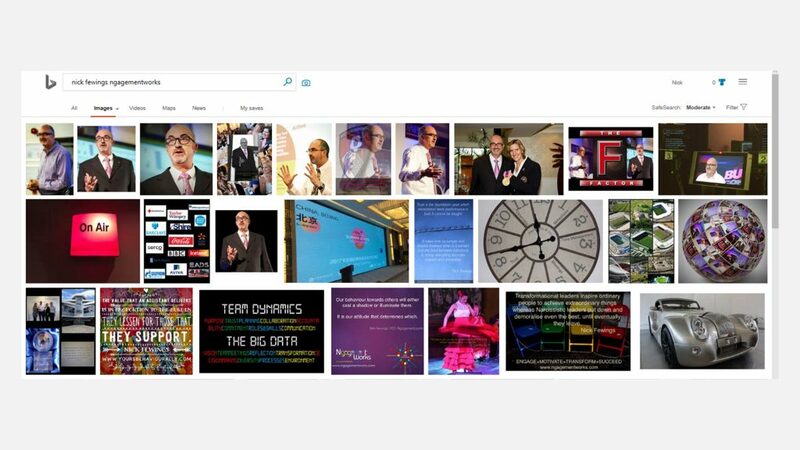 A quick search on Google or other search engines, should come up with images of them speaking at conferences. So,what to do with all this data? 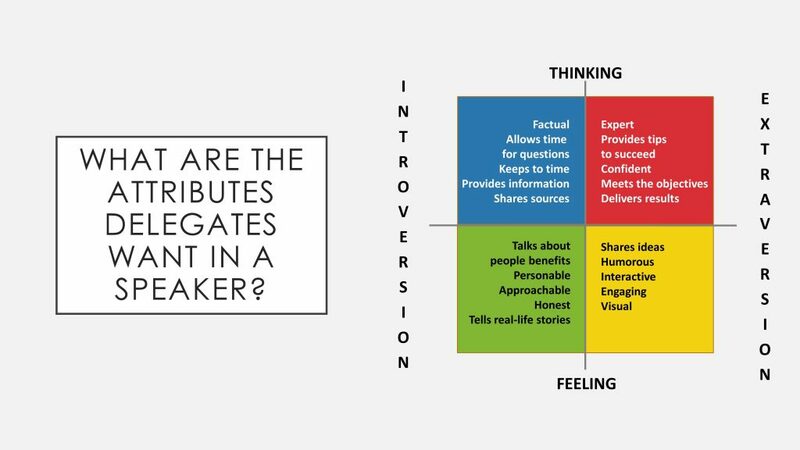 Well, as you gather the information about the speaker, you should be trying to tick it off against the different needs of your audience, so you end up hiring a speaker that connects with the majority of your delegates, by delivering a presentation or speech, that meets their needs. Once you’ve satisfied yourself that they would be a good addition to your conference, you need to ask them what their fees are. Professional speakers will charge a fee, because speaking at conferences is a part of their business model. If your budget is restrictive, some of them may provide alternative solutions to paying all of their fee in cash, i.e. marketing opportunities. If they say they will undertake it for travel expenses alone, you should be asking the question, “What is in it for them?”. If you do all this, then I am sure that your speaker will WOW your delegates. I hope that you have found this article of interest and value. If you have, help others who may find this useful by Paying It Forward, and sharing it with them. 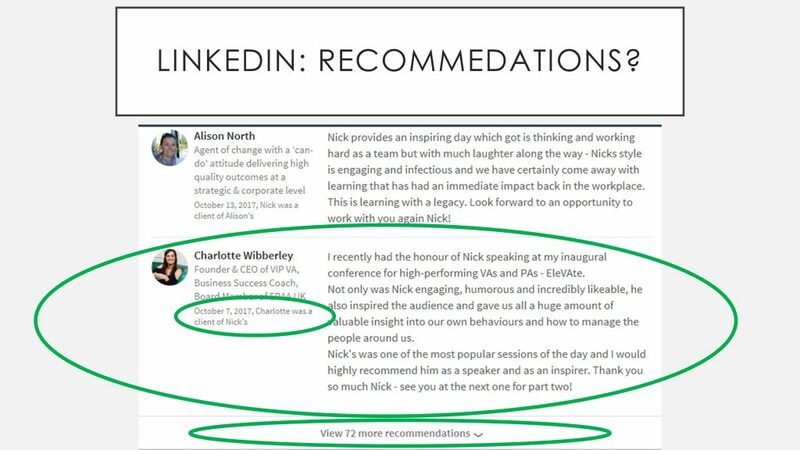 Great read Nick – agree completely the right / wrong speaker can make or break an event – too often selected without proper consideration. Which is why we always enquire about their required outcome for the audience. Your separate link about the cost of speakers is so true !